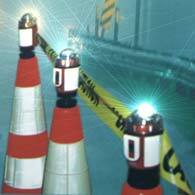 Brilliant high powered strobes with a snap in mount that fits any traffic cone with a hole. Retro-reflective covering meets US Federal Standard FP-85 Engineering grade. Barrier Tape easily connects by means of a standard stainless steel clip on each unit. DO NOT LET PERSONNEL GO UNPROTECTED! Statistically, dawn and dusk are the highest risk for being on the road working. One single flash. High reflective visibility. Snap in and snap out. IT IS THE RIGHT PRODUCT FOR THE JOB. 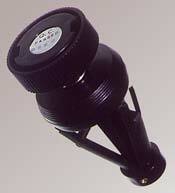 You choose the color lens for your application.  Clear  Highest visibility for all users. Leland’s Quality Policy – Leland’s management is committed to empower all employees to be able to produce and deliver products and services which meet and exceed customer expectations through a process of continual Quality Management System (QMS) improvement.